Office supplies can be a major expense for any size business. The Greater Oneida Chamber of Commerce and Hummel’s Office Plus have partnered to provide deep discounts of 5%-90% on every item Hummel’s sells. On average, Oneida Chamber members can save an average of 40% on their office supplies. 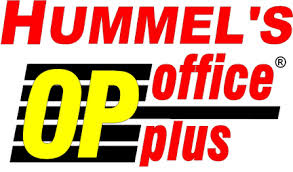 Hummel’s Office Plus is the largest independent office products dealer in Upstate New York. Our fleet of delivery trucks travels over 500,000 miles per year delivering much more than just Office Supplies, to businesses across Upstate New York. Hummel’s is a one stop shop for all your needs, including Janitorial Supplies, Break Room Supplies, Keurig coffee brewers, Green Mountain Coffee, Transitional & Contract Furniture and Design Services, Office Machines, Inks, Toners, Flags, and even Ice Melt for the winter! If you would like to learn more about the program please email Michele Smith at michele@hummelsop.com or call her at 315-439-7650.